Arrive, IN 21th May -Porter Airlines to EWR, and the train into Penn station New York City. -Park in Brooklyn, and dinner with friends. 22nd May -More friends, walk in central park, dinner out at The Harrison. 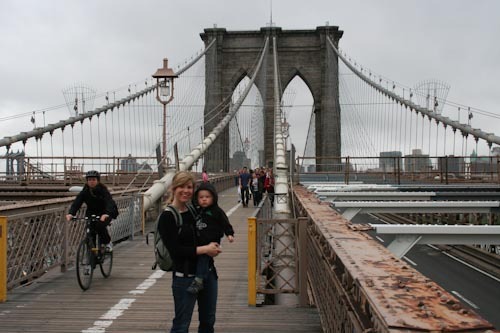 23th May -Walk across the Brooklyn Bridge, Union Square kids park, dinner overlooking the Statue of Liberty. OUT 24th May -Bagel breakfast near seaport, walking around the seaport, battery park. -back to EWR and onto Toronto.